Household Appliance CoverMates Toaster Cover 11.5 x 7 x 5.75 inches Stripe Sewing. 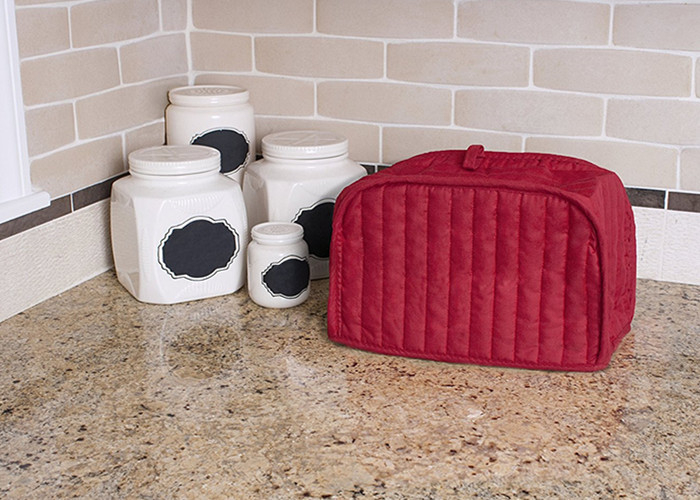 This appliance cover blends beautifully with any style kitchen enhancing decor while protecting your countertop appliance from dust, dirt and splatters. 50 polyester/50 cotton; machine washable. 2 slice toaster oven cover: 11.5 x 7 x 5.75 inches. Made in China. 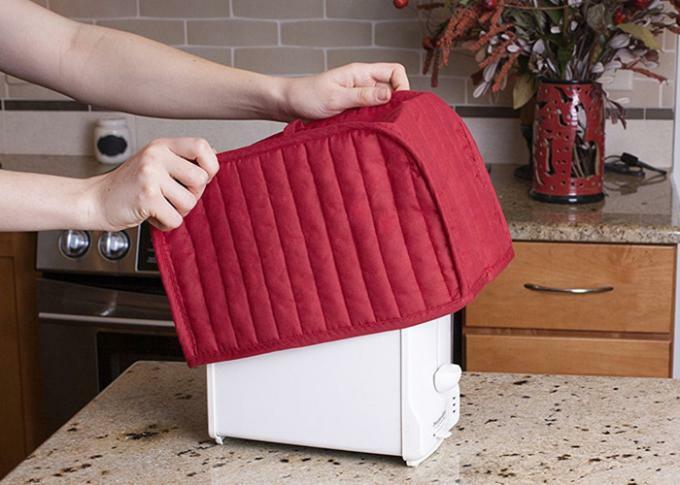 Classic Accessories CoverMates Toaster Cover, protects the toaster when not in use, fits most 2-slice toasters. Appliance covers help keep all appliances free from dust, fingerprints and spills when not in use. Coordinate colors with your kitchen décor. This two slice toaster cover measures 11.5 x 7 x 5.75 inches. Made with a cotton/poly blend so it can be machine washed and dried. Size 11.5 x 7 x 5.75 inches. ✔Dust proof & Durable: Protects your kitchen machine from staining by dust lampblack.Made of 100% cotton with polyester filling.